The Indian Airforce has released the notification of Commissioned Officer vacancies in Flying, Technical and Ground Duty Branches through Air Force Common Admission Test (AFCAT) 1/2018. 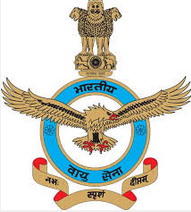 The Air Force Common Admission Test (AFCAT), is the test conducted by the Indian Air Force for selection of officers in all branches of the IAF (except medical and dental) viz. Flying Branch (Short Service Commission only), Technical Branch (Permanent Commission and Short Service Commission) and Ground Duty Branch (Permanent Commission and Short Service Commission) twice a year (in the month of February and August). The official notification of the AFCAT 1/2018 was recently released. You can apply online through the Indian Airforce's official recruitment websites https://careerindianairforce.cdac.in or https://afcat.cdac.in from 16th December 2017 to 14th January 2018. Other details like age limit, educational qualification, selection process, application fee and how to apply are given below. 60% marks in Graduation with any discipline with Physics & Math at class 10+2 Or /B.Tech or 60% marks. 60% marks in Graduation in any discipline with Physics & Math at class 10+2 Or / B.Tech or 60% marks. MBA / MCA or MA / M Sc degree in English / Physics / Mathematics / Chemistry / Statistics / International relations / International Studies / Defence Studies / Psychology / Computer Science / IT /Management / Mass Communication / Journalism / Public Relation with 50 % marks.